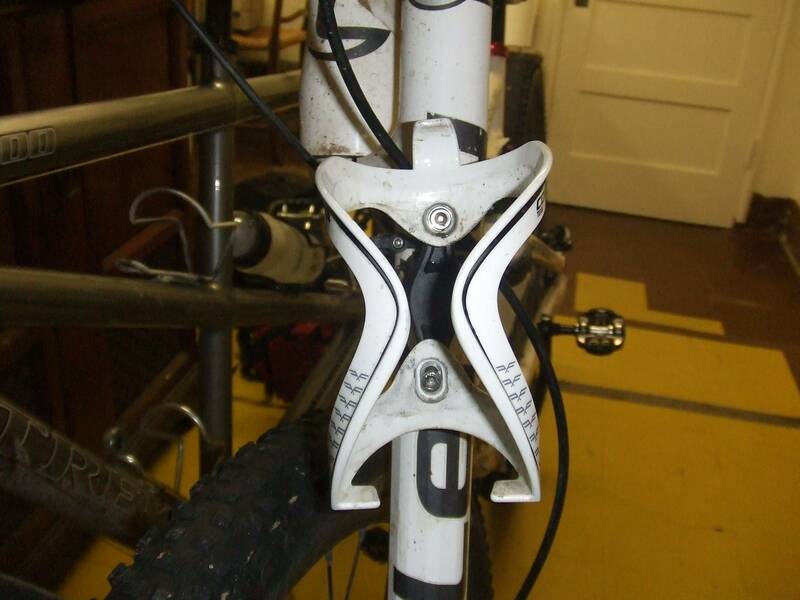 Are there adapters available for moving a bottle cage up/down in the frame? I am trying to move my seat tube's bottle cage down 4-5 centimeters and I prefer using the braze-ons. 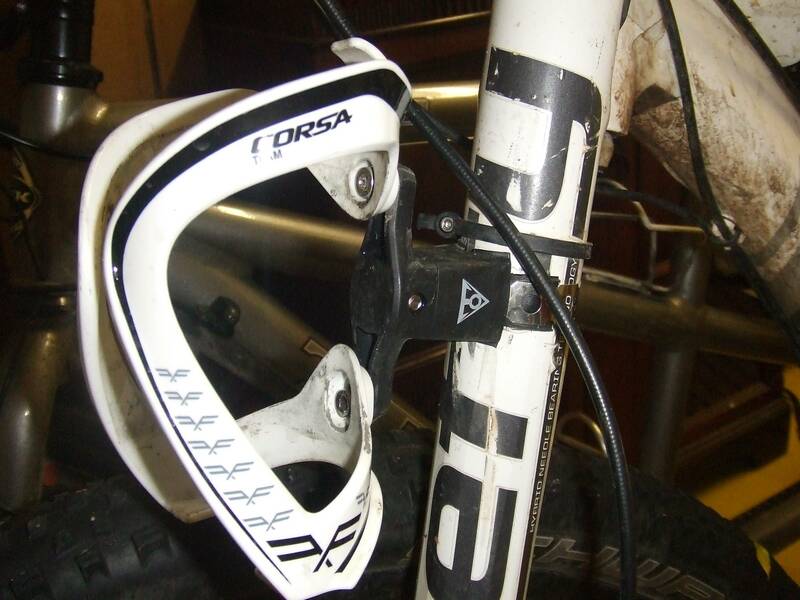 Note: the question is about options using the frame's braze-ons, not external adapters. There are a number of commercial products available to move bottle cages up or down from the existing braze-ons. They're marketed as a Bottle Cage Relocator or Bottle Cage Adapter, but essentially they're all a flat piece of metal with holes drilled into it that may have some finishing work to make it look nicer. Given they're in the $10 range it's probably a better use of your time to buy one than DIY. I had the same problem of too-low bottle bosses (since I prefer to use short bottles), and could not simply use a clamp-on bracket because the down tube is not round but "streamlined" (yeah, right). 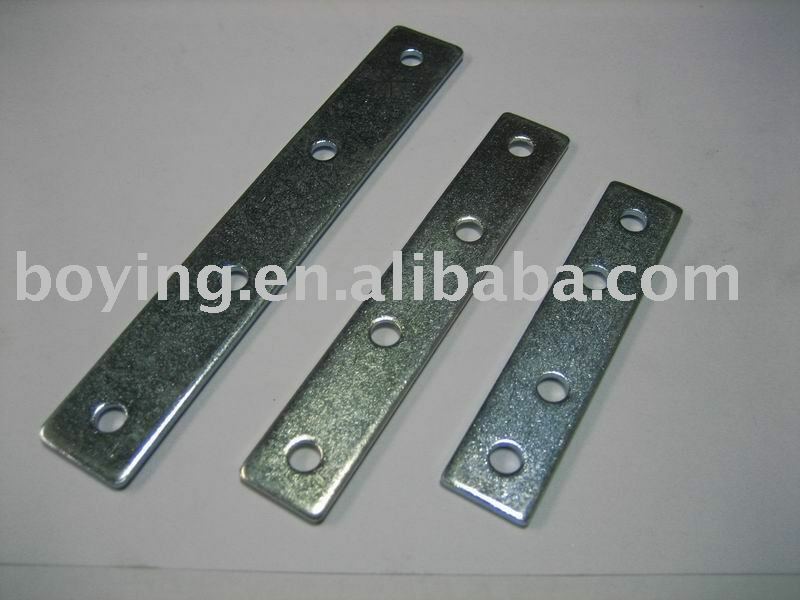 What I did is get a strip of aluminum bar (from a hardware store). Without going out to the garage to look at it, I'm thinking it's about 1" wide and 1/4" thick, or maybe a little smaller than that. To mount, first use a screw through the bottom hole in the bar and into the bottom boss. Next take your cage and run a screw (you may need to get a longer one) through the bottom hole of the cage, the middle hole of the bar, and into the top boss. Finally use a screw and nut to secure the top of the cage to the bar, through the top hole. I've found this to be quite stable -- no problem with rattling, etc (though I suppose it might be a bit rattly for mountain bikers), and it has never bent or come loose. There are numerous Water Bottle Cage Mount adapters. I use "Topeak Handlebar Water Bottle Cage Mount" to mount an extra water bottle cage on the fork of my MTB for long rides. (Nowhere else to put it). a metal band with holes and a plastic box with a screw to attach and adjust it - there is a screw passing through a metal plate in the plastic box adjusting the height of the plate which effectively makes the adjustment range continuous. The offset from mounting surface to cage holes is ~36.5 mm. 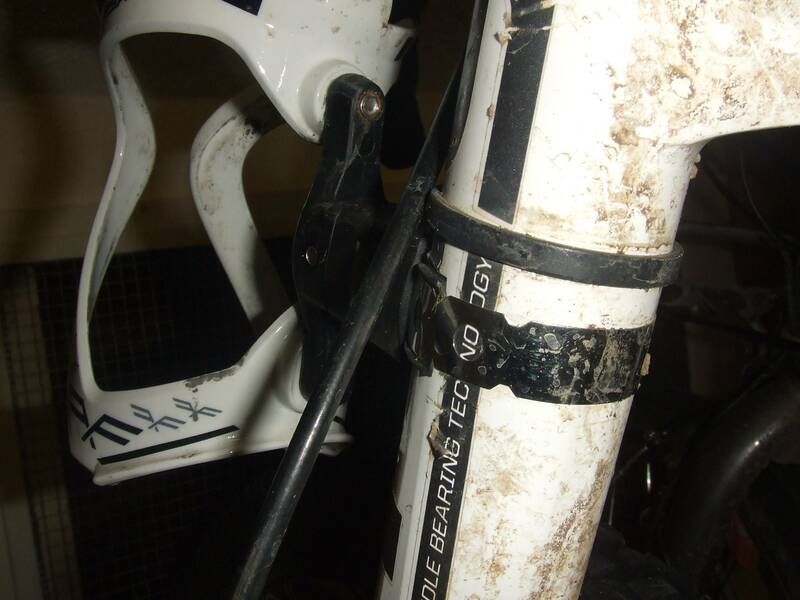 Because it attaches with a metal band it is not suitable for a carbon frame. If you can't find anything specifically made for this. Maybe just get a metal bracket or other similar piece of metal. Hopeful, you can find something with fewer holes than pictured. Drill some holes in it to customize and place it exactly where you want it. Not the answer you're looking for? Browse other questions tagged frames bottle or ask your own question. Experience with welding Titanium frame? 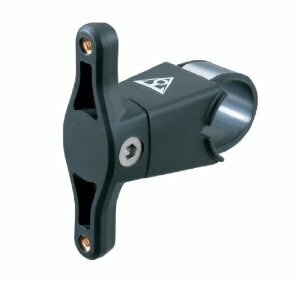 Is it possible to increase maximum seatpost insertion length by filing down a seat tube bottle cage mount boss? carbon seat post to carbon seat tube - necessary to loosen periodically to prevent seizing in place? Cyclocross Frames and Disc Brake Compatibility?